You can easily create and manage multiple languages for an event page. 1. The first step is to create an event with all the details of your event completed. Do this in your native language. 2. 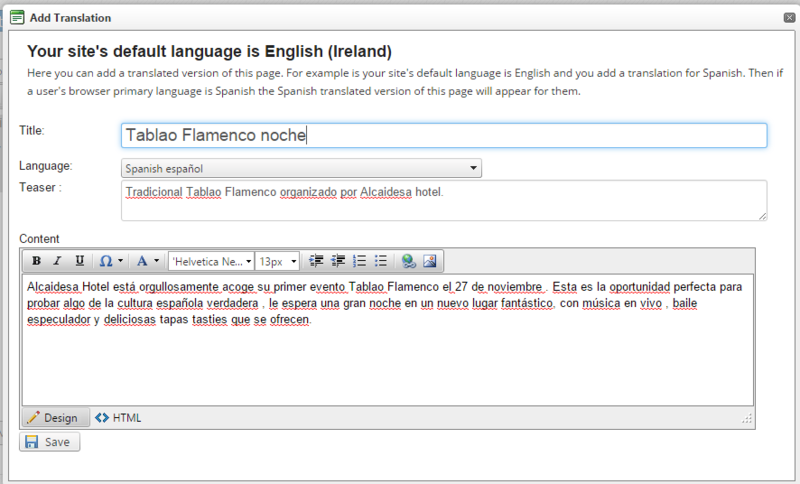 Have a translated copy of your event description. 3. In the Translations box, click: Add Translation. 4. A translation Pop Up will appear. Now fill in the title, language, teaser, and event description. Now when if a user of the other language, in this case Spanish visit your site. They will see this Spanish version if the text. You can change this text any time on your event details page.